This post is based on a tracer I am currently working on. My current project requires a TCP server implementation where other client could establish communication and perform data processing. The server should be able to handle multiple request from client. I never did any work with TCP Listener, initial one hour struggled a lot to get it working. First approach I took was kind of Server – Server communication. That means there is no client both system act as server, it’s bit complex but I created a working prototype in next couple of hours. Yes it is complex, client app needs lot of work to establish a connection. I need the server more simple and less code for the client to establish connection. So I started searching for simple TCP based client server approach. I stumble upon this post, where the author does a multi client communication. I got a start for my second tracer, a true client server model. I modified it and removed looping construct and used Async model instead. You all can see the code below. Here I use a async wait approach rather than waiting in a loop. So whenever a client connect OnClientConnected will fire and it handover the request to Client Request handler. After that it will again go back to wait mode for the next request. The advantage of this approach, the application is responsive and less CPU intensive compare to the looping approach. //send the data back to client. Here also I converted the waiting in loop to Async wait model. The looping model causes a constant hike in CPU utilization. This post explain how to asynchronously read request from client. //the loop should continue until no dataavailable to read and message string is filled. //data is available and message is filled. As you can see most of the function is very simple to understand except ReceiveData(). 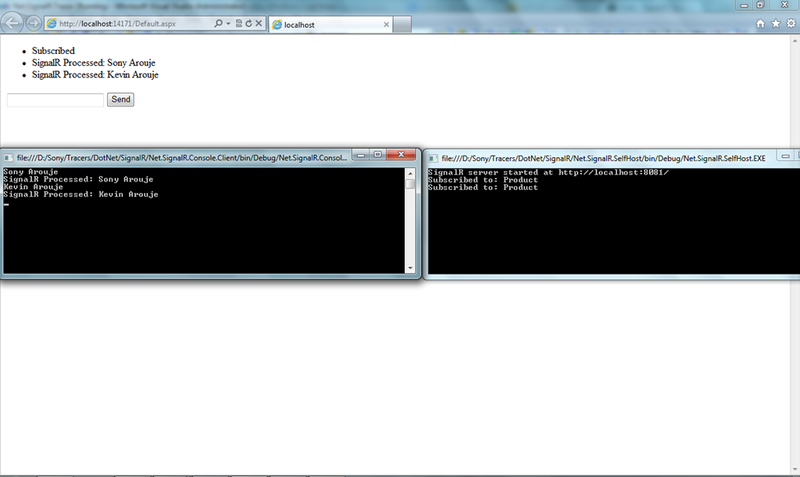 I haven’t concentrated much on the client side as client of the actual TCP server will not be a .NET one. I am not discarding the fact, I will refactor ReceiveData().